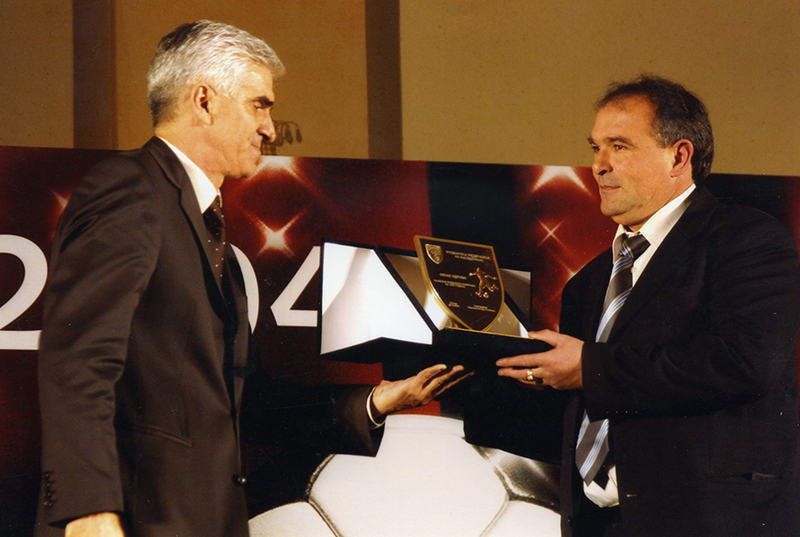 FC “RENOVA” was founded in 2003 but it derives from the football school founded in 2000 with another name. 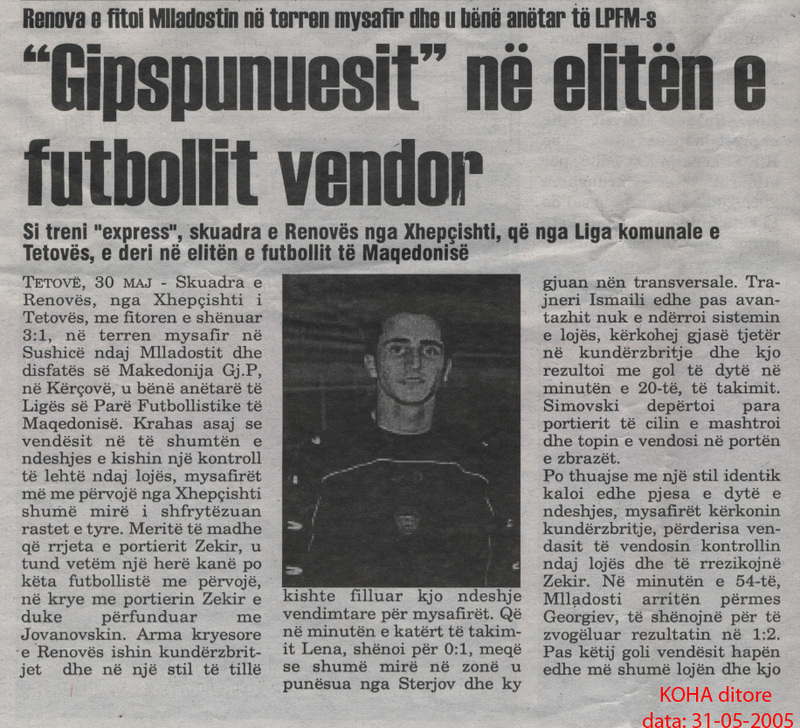 As a result of succesful work in 2003, main people from RENOVA from Dzepciste noticed started to invest in this shool of football. 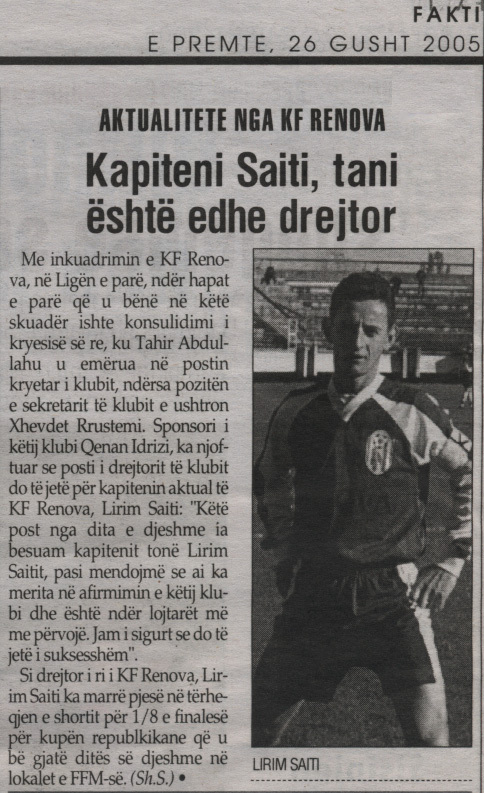 Since then the school carries the name RENOVA and all this brought to founding of the Football Club RENOVA, a seniour team which replaced SHKUMBINI from Tetovo, as a third league team. 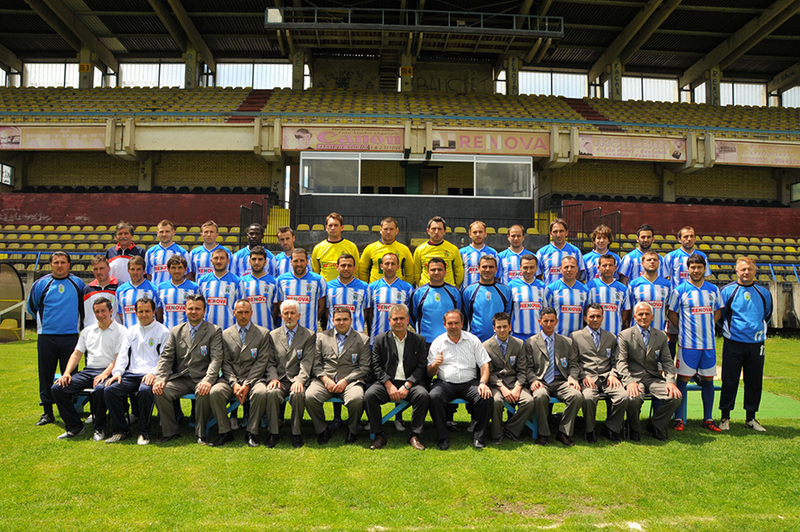 The team of SHKUMBINI was renamed into RENOVA and this team in 2003/04 started to play with a new name. 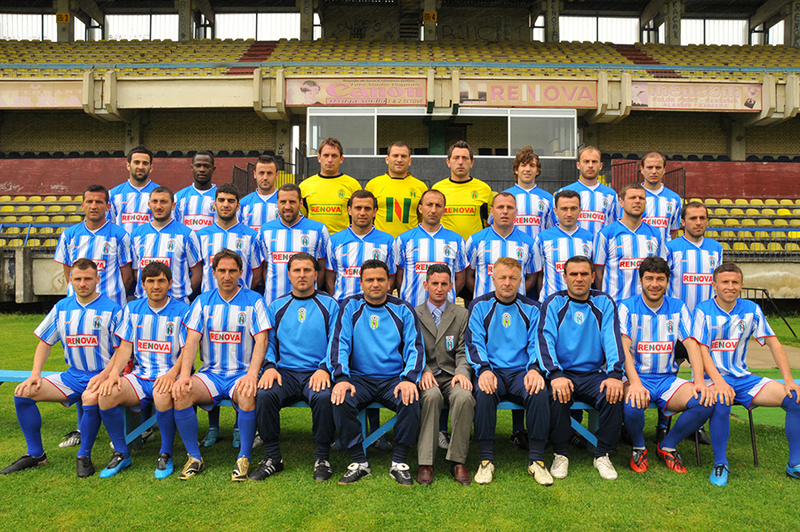 The team was very organized and as a result of this won the first place in the league. 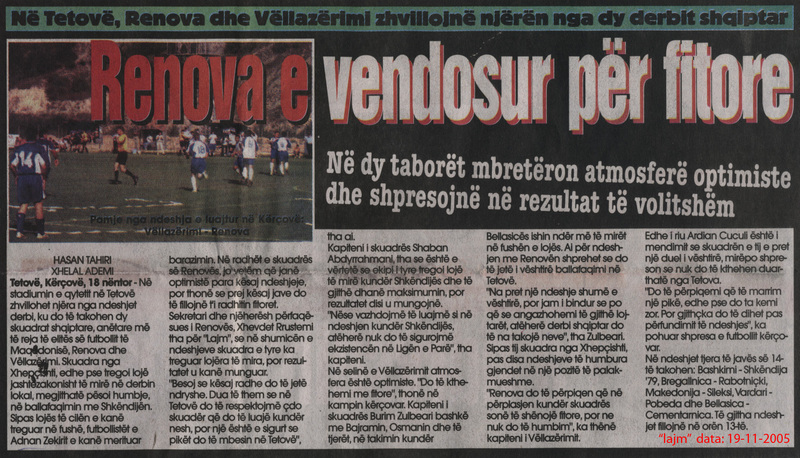 In order to qualify in the second league RENOVA had to play on with “Vardar” from Negotino and won this game after penatites. 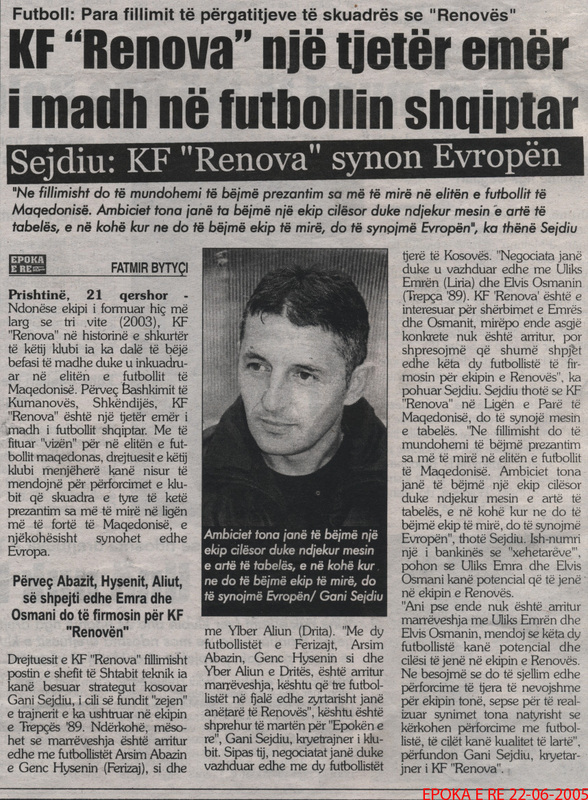 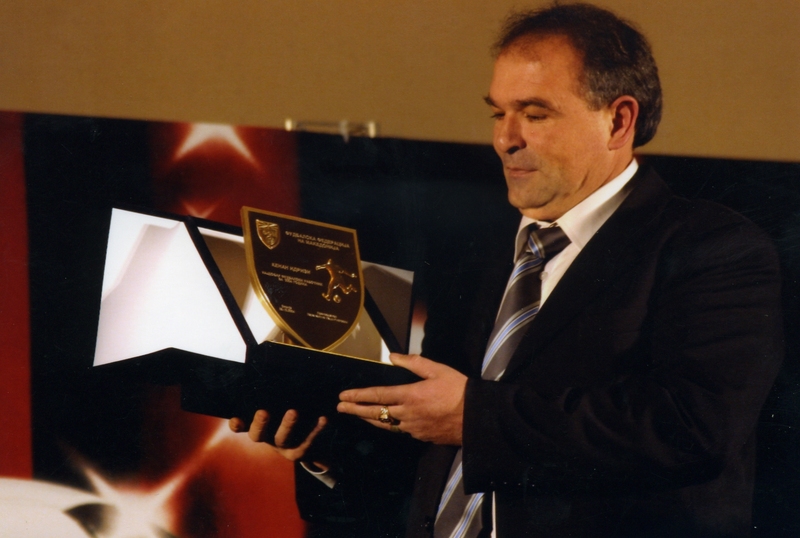 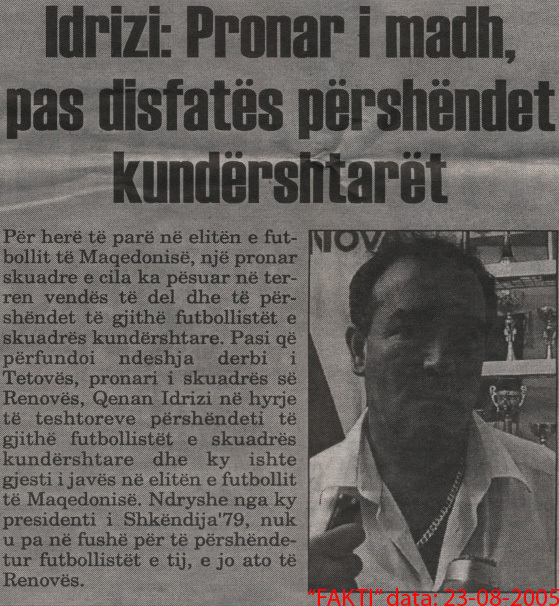 In the competing season 2004/05, RENOVA continued to play in the second league but the ambition of the club was to play with elites in football in Macedonia. 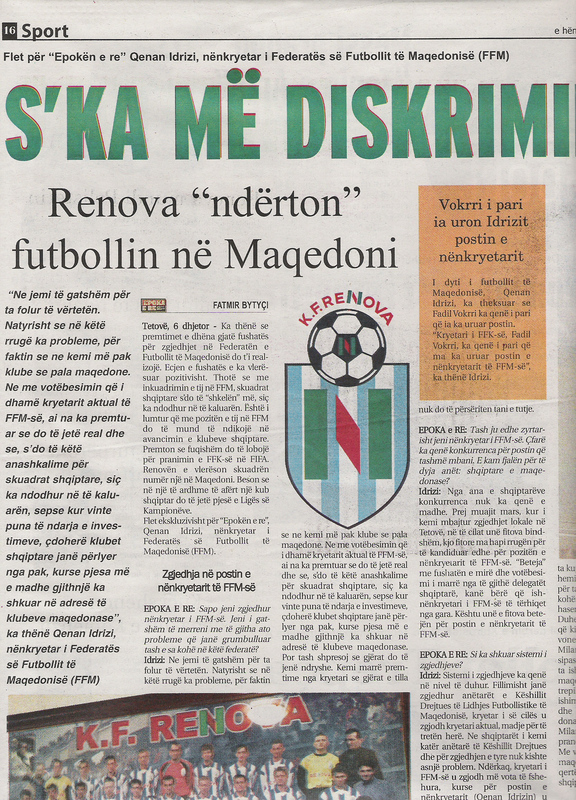 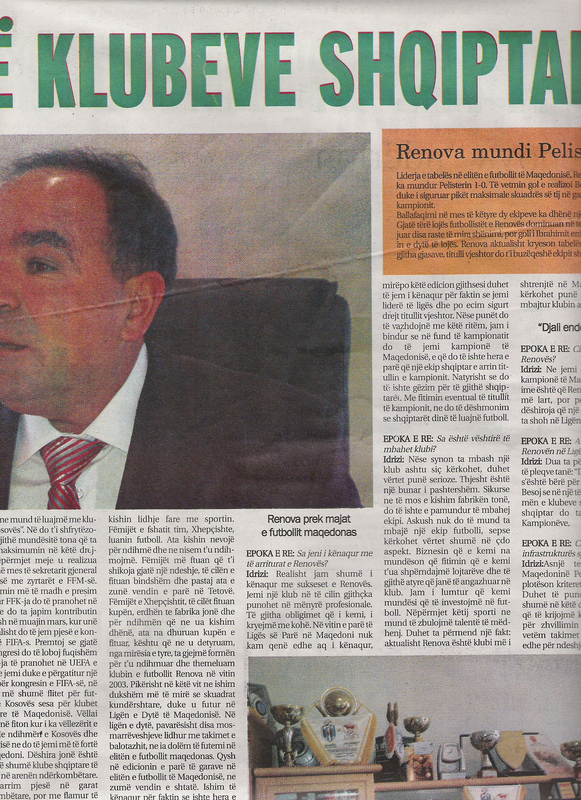 With a good organization and professional approach of all structures led by the director of the club Mr. Qenan Idrizi, RENOVA was ranged as second at the end of the competing season which directly qualified the club in the first league of Macedonia. 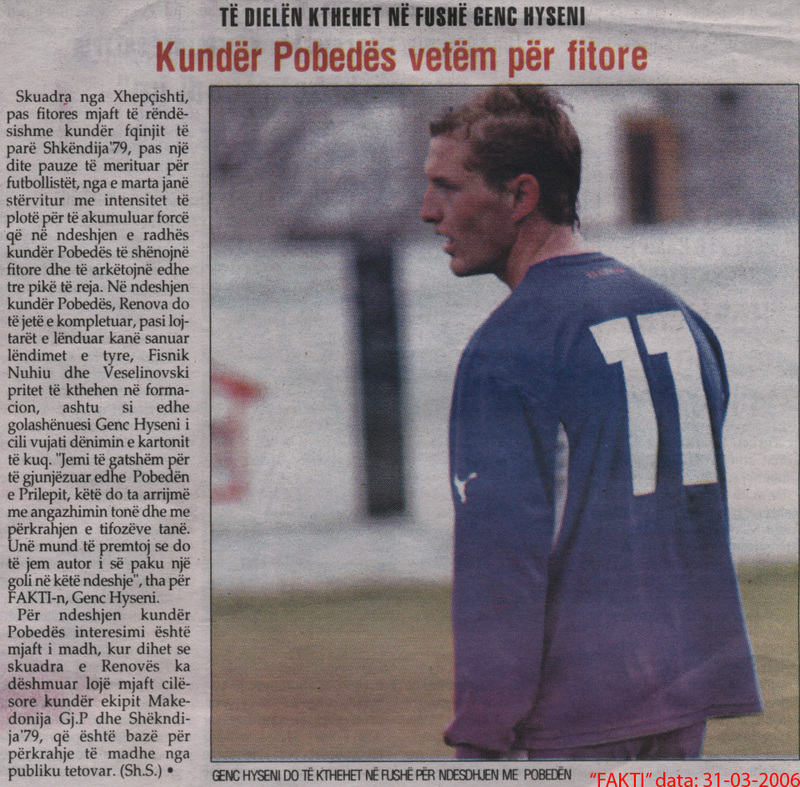 In competing 2005/06 which means this competing season the club plays in the first league with ambitions one day to play in Europe.